While some of you may find this hard to believe, I hesitated before writing this post. A lot. I have a tremendous amount of respect for the ministry that takes place at the Cathedral of St. Paul in Boston. Under the current dean, they have a long history of reaching out to people on the margins which is, at heart, what Jesus' gospel message is all about. Bishop Shaw says he is "especially proud of the cathedral for doing the work of Jesus Christ -- feeding the hungry and welcoming the stranger." The recently released video about the artwork that now graces the cathedral's long vacant pediment, however, speaks to me about the disconnect between that very gospel message and the very public portrayal of it. 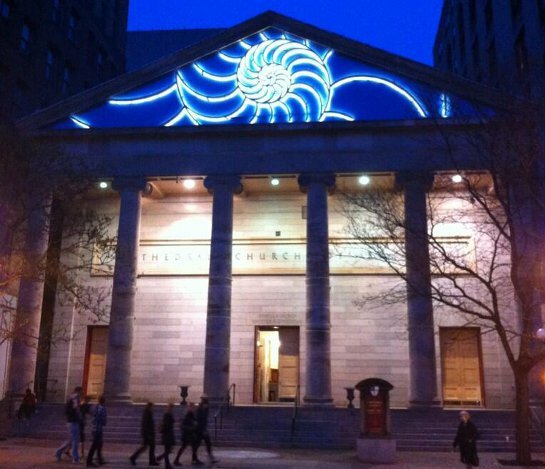 If you've been down Tremont Street along Boston Common, perhaps you've seen it -- it's a giant nautilus that, at night, gets illumined with blue backlighting. 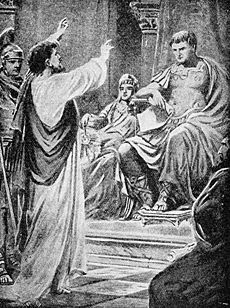 The original plan called for a relief sculpture of the cathedral's patron, St. Paul, preaching to King Agrippa (Acts 29). This idea was scrapped when the money ran out and the pediment remained empty for nearly 200 years. I'm still not sure why Paul was pushed aside for a seashell. Sure, I've mocked the nautilus occasionally in the months since it went up. Mostly it was good natured. Mostly. Things like telling everyone I now refer to it as St. Paul's Fish House & Raw Bar since it looks more like the entrance to a fancy seafood restaurant than a cathedral. Granted the Greco-Roman architecture made it appear -- pre-nautilus (PN) -- like a bank. St. Paul's Savings & Loan, perhaps. The nautilus is supposed to be a metaphor for spiritual growth, based on an Oliver Wendell Holmes' poem titled The Chambered Nautilus. I actually don't mind the sculpture itself -- if it was on the facade of a contemporary arts museum it might even entice me to go inside. But labeling it a symbol of spirituality feels contrived and as empty as one of its chambers. But what really set me off was the artist's description of his vision -- a vision the cathedral community enthusiastically embraced. He says in the video that the cathedral is "not just a church for Episcopals." Okay, ecclesiastical grammar aside, I understand the cathedral sees itself as a House of Prayer for All People (Isaiah 56:7) -- a Biblical slogan popularized by the Washington National Cathedral. They live into this motto by offering a place of prayer for the local Muslim community on Friday afternoons and opening their doors to "all sorts and conditions" of people. Yet, unless you first place your stake in the ground as the epicenter of the Episcopal Diocese of Massachusetts, a community of disciples following Jesus Christ, this slogan can easily delve into "A House of the Least Common Denominator for All People." The artist goes on to say, "I was trying to think of a symbol or an image that would be spiritual but not be religious." What?! A Christian cathedral by its very nature is and must be "religious." 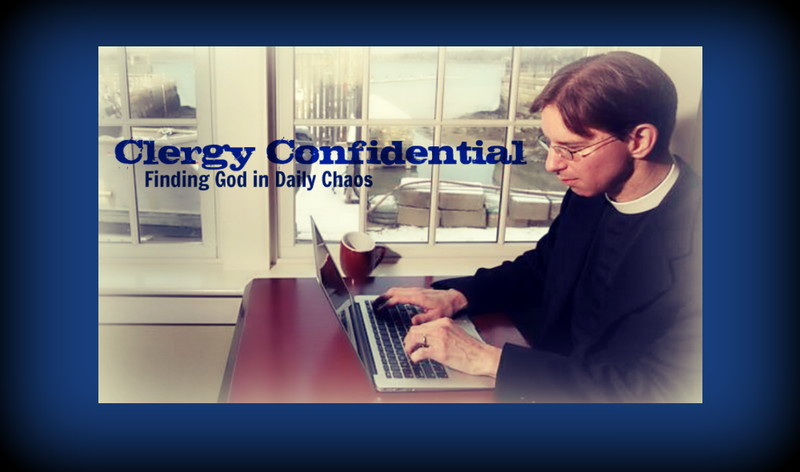 It should be a beacon of the gospel and, as the dean says in the video, "the spiritual heart" of the diocese. If our core is this theologically squishy we may as well just tear down all of our crosses and erect nautili (what is the plural of nautilus?) on all our parish churches. I want a cathedral that is both spiritual and religious. I want a cathedral that inspires -- liturgically, theologically, and spiritually. I want a cathedral that is a powerful sign of the Christian faith, boldly proclaimed. I want a cathedral that preaches Christ crucified and risen with reckless abandon. I want a cathedral that is a beacon of hope amidst a sinful and broken world. I want a cathedral that, as the bishop's seat, is engaged in a ministry of Christian teaching and formation. I want a cathedral that is a place of prayer and spiritual refreshment. I want a cathedral that ministers to those on the margins of society. I want a cathedral that is relevant to its urban context. Yes, that is a lot to place on one community and its leadership. I am not a dean and so it's easy for me to put expectations upon a cathedral community. I understand that and I understand it is impossible to be, as St. Paul himself said, "all things to all people." It's hard enough in parish ministry without having the priests and laity of over 160 congregations looking to you for inspiration and who may all have slightly different interpretations of what a cathedral should be and do. There are certainly things at my own parish, St. John's in Hingham, Massachusetts, that could and should be improved upon -- we just finished up a strategic planning process that was revealing, challenging, and hopeful. Every parish church and every cathedral has strengths and weaknesses that must be taken together when looking at the whole. It's also quite possible I'm wrong. Maybe the nautilus will be just what the cathedral needs to invigorate its mission and ministry. Perhaps people will indeed "come and see." The question remains whether they will come and stay. A pity that the video is not captioned. The late Rev. Roy Brown, of your diocese, fought long and hard for captions on videos produced in the Episcopal Church, both nationally and locally. YouTube has an experimental captioning process. It is hilarious. The sculpture on top of the building is NOT the ministry that happens in the church. That goes for All of our churches. You may have beautiful stained glass windows but that isn't you ministry either. All the comments you bring up about the cathedral are valid and should be asked, just as every congregation needs to understand how and where God is leading them to bring the Gospel into the world. And also remember that whatever the artist thought about the work as he made it, it now belongs to the cathedral and the diocese to claim. I have seen many walking past on the common who do a double-take, stare in wonder, and come closer to look inside. The real question is "what do we do next with them?" Put some energy into that! Appreciate your thoughts on this today. Agree completely. If I could come up with a "bright side" I'd hold my tongue because that thing is just wrong. I pray that the cathedral can work past this visual "thorn in the flesh" and continue its fine work. sorry-just tacky...especially with that blue light. just not churchy at all. my opinion only. Perhaps it will be removed when the leadership changes . . . Thank you for articulating so well my own sense of unease with the sculpture. I had a liturgy professor that used to say that if you have to explain the symbol, it's not working. Symbols are supposed to express meaning without words, but the nautilus on the cathedral makes no sense without 10 minutes of explanation. The mere fact that the diocese felt it had to make a video to explain it suggests that while it is a stunning piece of artwork, as a symbol of Christian ministry, it's falling short. When I read Jep Streit's quote in the Boston Globe when it was installed, I cringed at the suggestion that we needed to avoid Christian symbols. We seem embarrassed to suggest that as Christians, we might proclaim Christ crucified -- more than a little ironic in a Cathedral named after the man who wrote, "Jews demand signs and Greeks look for wisdom, but we preach Christ crucified: a stumbling block to Jews and foolishness to Gentiles, but to those whom God has called, both Jews and Greeks, Christ the power of God and the wisdom of God. For the foolishness of God is wiser than human wisdom, and the weakness of God is stronger than human strength." Thank you, Tim. Being Christian in a straight-forward, energetic, and unapologetic way does seem to escape us often. Sensitive interfaith engagement is one thing; wholesale walking away from our symbols and theology is quite another. Leslie Newbiggin, who knew a thing or two about interfaith dialogue, said that we Anglicans really need to stand on what we believe - to do otherwise would be disingenuous not only to ourselves, but to our interfaith partners also. They, btw, would not consider presenting their beliefs and faith as an apologetic mush. Well said Tim. I was ordained there many years ago, and was not particularly impressed with the "refurbishing" (tearing out of everything that looks like a church) on the inside when I was last in Boston. I pretty much say ditto to everything Vicki McGrath says above. To be fair, there's not much you can really do with a front like an old bank. Paul preaching to King Agrippa in bas relief would underline the bankyness, for example. Probably the best one could hope for is something striking without going completely over the edge into tacky or cliché, and the Nautilus might even meet that standard. I hope they've posted the Oliver Wendell Holmes piece somewhere the curious can read it and get more of the story, however, since there's not much point attracting attention if we don't have anything particularly to say. Well said, Father Tim. I agree that the light-up, glow-in-the-dark quality strongly suggests uncooked seafood on the half shell, and that the symbol is nothing if not esoteric. I am also uncomfortable with the reticence regarding the use of Christian symbols on a Christian cathedral (really? that's a problem?). It does seem to be attracting attention, though. Let's see what they do with it, because it's not going anywhere anytime soon. 20,000 leagues under the see? So much more powerful if we proclaimed, "We are a Christian church, rooted in the Gospel, and _that is why_ we welcome all people into our house of prayer. Also, rclaudiaterhune's comment was brilliant. God be with the Diocese of Massachusetts as it continues on its spiral downward journey in an attempt to be all things to all people. My days in the diocese are long past, but I recall with great affection walking into the Cathedral with its very simple and unassuming interior that bespoke of God's Glory not man's follies. I left the diocese just as the late Bishop Johnson embarked on the multimillion dollar upgrade of the Cathedral proper and the renovation of the tired old building attached to become the new Diocesan Center. Oh what a loss for all when Joy Street was sold for a pittance. The decline of the Cathedral and the building began then. In hindsight, the Diocese would have been much better off in creating a whole new adaptable and worthy House of Prayer for all - and perhaps one that people with mobility, hearing and sight challenges might enter into freely and easily while seeing and hearing the proclamation and preaching of the Word and sharing in the Sacraments as well. What did the Diocese get for all that money? A Cathedral proper that will never be able to gather together a significant number of the Body of Christ or an office building that is free of HVAC problems as well as mold and vermin. And, if I recall, a building complex that is still privately owned by the Cathedral not the Diocese - is there any other diocese that does not own and control the Cathedral??? It was and remains the proverbial "White Elephant" - perhaps that should have been placed on the pediment. The past good Bishops of the Diocese of Massachusetts, a name which in itself stands as symbol of prestige and disregard for the rest of the Commonwealth of Massachusetts, have forsaken their leadership role in the care of those temporal matters that in the long run make the parishes and people of the Diocese feel more apart from and distance to the very center of the Diocese. As noted above, perhaps the new Bishop will restore the Cathedral and its buildings to a more pleasing state. God's blessings and prayers for the Diocese of Eastern Massachusetts. The good news about being Deaf is that I don't listen to my wife, nor my Bishop, nor my children or grandchildren. Not even my dog. My remark was intended for people such as my wife, who due to age and other issues such as tinnitus are not Deaf, but challenged to hear in certain settings. When my wife and I attended an ordination of a priest three years ago at St. Paul's, it was almost impossible for her to hear, and at times I too had difficulty hearing due to age and the overall acoustics of the space perhaps, the Bishop's remarks and the prayers he invoked - in spite of the Dean's attempts to adjust the microphone that the Bishop was using. As an aside, I do not recall if there was someone signing the service for the Deaf, which for an Ordination service should have been an automatic requirement. A new challenge regarding sight was "discovered" at that service as well when we both tried to read the order of service - not all hymns are familiar, even to the clergy - in what was dull lights that required a measure of moving about in the pew to try and "catch" a beam from on high -and not the heavenly kind. Yes, dim lighting and bad acoustics are challenges through no fault of your own. Such situations often can be CHALLENGED. In my first year in the Diocese of Washington, the annual convention was held in St. Alban's School on the grounds of the National Cathedral. This meant that attendees had to walk far from the parking lot, up and down several outdoor stairs in winter weather, and even in the building there were more stairs. After the convention I wrote to Bishop Walker, pointing out that I had counted at least nine persons with visible mobility difficulties--and how many others simply declined to attend convention because of those steps? He got the point. The next year the convention met at the University of Maryland Conference Center, which is accessible. Thereafter it has been held in the Cathedral itself, which is also accessible. Of course, you know the Seven Last Words: "But We've Always Done It That Way." 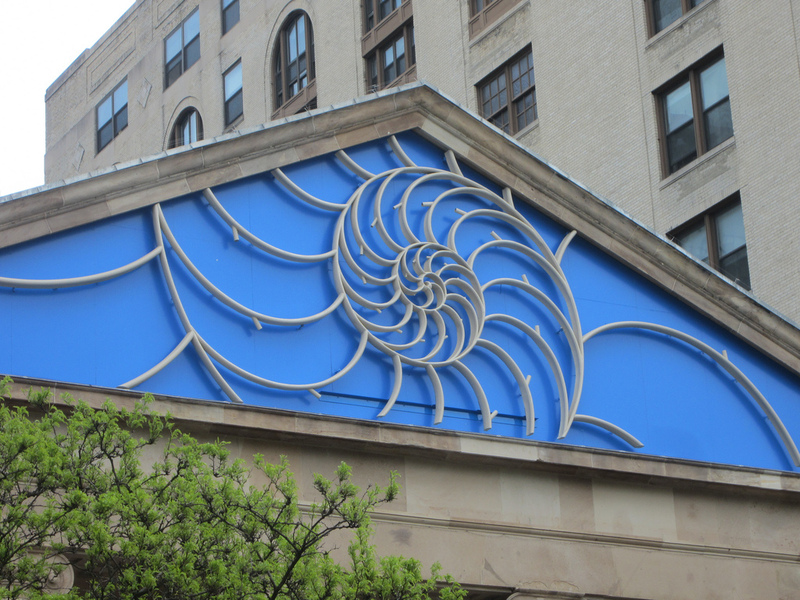 I appreciate the thoughtful critique Tim wrote in this blog about our new nautilus pediment and I love his list of what he seeks in a cathedral. Amen to his list. In our video the artist remarked that he wanted to create art that was not “too religious”, which of course alarmed some people, as though he were articulating our new mission statement. He’s the artist, not the Dean. I simply thought he was trying to articulate, in his imperfect way, his experience of the Cathedral as a place with an expansive vision of God, “not just for Episcopals” as he put it. We celebrate the Eucharist eight times a week, keep our church open all day for anyone to come in and pray, have a weekly meditation group and have welcomed and fed hungry people every single Monday for thirty years. I don’t worry that we aren’t Christian enough. Of course now a cross is an obvious symbol of our Christian faith, it’s what everyone expects to see on a church . But isn’t God the One who surpasses our expectations, not just meets them? “Behold, I am doing a new thing.” Our nautilus is certainly a new thing. It may not be immediately clear exactly what a nautilus atop a cathedral means, but that ambiguity can invite thinking and conversation, much more than if we had done something less provocative, as evidenced by all the comments on Tim’s blog. The nautilus works (or perhaps doesn't work) as a symbol on many levels, but for me it is beautiful and inviting quite apart from any explanation or rationalization I or anyone might suggest. Of course everyone doesn’t agree with me: one man’s beauty is another man’s fish house. The week after the official dedication of the nautilus I received the following email from a total stranger. Her email confirmed my hope that our new artwork would be engaging and inviting to people who might not otherwise care or even be aware of St. Paul’s and our ministries. She offers her own rationale. I read about the inspiration of the Holmes poem, but I want to comment also (surely I am not the first) that the nautilus's many 'rooms' evoked John 14:2. As I read about the multi-faith 'homes' provided by the Cathedral, not to mention room for the 'homeless;' whose room has been on your porch for many years, the verse echoed in my mind. I am not Christian, but I am a great appreciator of this new and marvelous work. A couple of respondents have noted the limits of the cathedral building itself; poor sightlines, dim lighting, inadequate access. I completely agree with these critiques This is why we are not simply adding sculpture to our pediment but renewing our interior space: bringing in light, installing a full size elevator, adding a chapel, removing the pews to make the space more flexible and usable and installing an efficient heating and ventilation system. But when all is said and done, what is true is simple: our ministry is our message. I’m proud of that ministry, the gospel witness we make every day, and I’m glad for the conversation we are having about our new façade. Of course there are many viewpoints, just as in God’s house there are many rooms. All are welcome. If there were a cross outside as some have wanted, the cathedral would look like just one more church in the area. That is one of the Dean's points. The thoughtful comments above would not even be taking place now. A House of Prayer for All People to me implies there could never be one approach that would please all. I agree with the above that the real issue is once inside one come again and stay. But cathedrals often really address transitional folks along a journey and perhaps a parish is not critical, as the good Bishop Lawrence noted. Addressing another comment above: the ordinands are given the grace to create their selection of lessons and music for their awesome day; this represents the wider diocese and is not a cathedral choice. Do this gift I think reflects the diversity in our diocese. My last thought is now two beacons over the first park created in the US: the State House and God's House. Both beacons of light and the possibilities light creates. Thank you for reading. I think what many Epsicopalians are fearing is something that has been going on since the begining of the decade. Is there a movement to move our church more towards a Universalist Church? And is this generic symbol in place of a Christian symbol just the begining. Instead of the drab unfinished pediment there's now a colorful, bright, work of art that makes the Cathedral stand out both during the day and night. People coming down Beacon Hill or walking across the Common can't help but notice it, and perhaps will be drawn to "come and see"--St. Paul's Cathedral does have something to good say about the good news of Jesus Christ, which we used to be able to hear on the radio and can still hear any Sunday. Unfortunately, the nautilus used this way is cliche, hackneyed, and not worthy of that placement, and as such it diminishes rather than enlarges the mission of the congregation and diocese. (And I *like* modern religious architecture and art, and don't feel that the Cathedral has to be preserved in amber, just to proleptically explain where I am coming from.) It's neither inviting nor persuasive, but one of those things Bostonians will be rolling their eyes over until some has the sense to reconsider this piece of art, muttering "what on earth were they thinking?" It's a mistake. It will take real courage to reconsider it rather than invest more effort into defending it. This nautilus, like anything else harking back to the Transcendentalists, reminds me uncomfortably of a brief youthful hiatus among the Unitarians with my first husband. I am sore tempted to say, "Jesus puked." Any church that can conveniently serve as a poor compromise is to be avoided. Now I am back where I belong, grumbling when we haven't had any Rite One services in what I think is too long. My daughters survived the Acolytes' Guild, and the younger is betrothed to a guy with a degree in Anglican Theology, and all manner of thing has been well for the most part, dubious interim clergy notwithstanding. Let me enter my vote, as a grumpy white-haired widow lady, for no more Crab Shack schlock anywhere. Bad taste is bad taste, heresy is heresy, and overlap is certainly possible. Father Tim, I salute you! I remember seeing a blinking lit cross on a Salvation Army building with the words, "JESUS SAVES." The Episcopals would scorn it as unaesthetic, but it's true and therefore beautiful. Put up your nautilus; it certainly improves the building; but re-consider calling yourselves Christian. That said, God is love and spirituality embraces paradox. A lot of the objections that I see above are objections more to Episcopalianism than to this particular sculpture. Which I like. In two, somewhat contradictory ways. Both centripetal and centrifugal. First, it looks like the center of a spiral--the still center of a whirling space. Which is a good, contemplative message for the church to send to the culture. If God is sometimes the "still, small voice of calm," then where do we find God but at the still center? So the sculpture says, "Come and be still. Come and find peace." What's wrong with that? Second, I also like how the image bursts the boundaries of the architecture. The suggestion is that there are many, many rooms, so many that the pediment cannot contain them all. To me that is a wonderful, very Christian, and very hospitable message. And I haven't read Holmes at all. As for the light--why not? Have you seen some of the monstrosities that pass for church architecture these days? If it were a stained-glass window that looked exactly the same it could glow from inside. Why not make the sculpture more visible in the dark of winter? All of what the Dean offers is good as the nautilus, the cross, the fish, or whatever symbol of the great "I Am" one may conceive of, does provide a personal glimpse of a God who is beyond any one human's perception and understanding - "no eye has seen, no ear has heard, no mind has conceived, what has been prepared for those who love God." And so yes, for many the nautilus can be a wonderful expression of God, and God in Christ. I would also offer that the Episcopal Church and Anglican Communion with our rich apostolic roots, Catholic heritage and liturgy expressed so beautifully in various Book of Common Prayer throughout the Communion lifts up our common good, our common expressions over the personal and individual piety both in our liturgy and in our common churches, cathedrals, House of Prayer. We are not the church of one person's personal taste and piety, we are a church of diverse Christians whose belief and understanding are respected and given voice but not to the determent and the diminishing of our common teachings, and in this case in the visual place - a Cathedral - where our shared common faith as a Diocese is carried out. I am not a part of the Diocese of Eastern Massachusetts any more and my generation of colleagues are now retired - albeit that many have been called back into service as long-term interim pastors -or have died and rest until that day when all shall be raised and look upon God with our own eyes. Those who remain in the diocese, and we are in communication often, share that in the workings of the diocese, and in particular the process of selecting the nautilus to fill the pediment over the ever open doors of the Cathedral was more opaque and predetermined than transparent and open. Sadly, when a process is carried out in such a manner what we more often than not have is what goes on today, after the symbol, now of derision and divisiveness, is up. If you've got artists talking up "spiritual but not religious" as a way to get people to like something that you want to go on a cathedral, you've lost at least part of the plot. The shell design is harmless. Ultimately nobody really cares-those who are looking for reasons to leave or denounce you will find them; those who want to stay already have their reasons. The irrelevance and decline of this institution are facts on the ground much larger than sea shell logos that could be just as easily transferred to a Legal Sea Foods restaurant. This is another case of what's wrong with some of the leadership of TEC, caring more about appeasing society through secular means rather than spreading the Good News of salvation through Jesus Christ. And if those clerics and lay leaders don't believe that salvation is through Jesus then perhaps they should have enough integrity to resign their posts and parish memberships. Perhaps this is a symbol of Holy Baptism? In the two churches I serve I use actual seashells for Baptism instead of silver copies. I don't want to denigrate the artist or the artists work, it is a creative piece. Perhaps the Episopal Church USA should adopt it as their new symbol and exchange it for the cross. Because it seems in keeping with the statements of Kathrine Jefferts Schori, which suggest that she neither believes in the Literal Bodily resurrection of Jesus Christ or in life after death. The cross would appear to be an inappropriate symbol for the teachings of the present day Epicopal church. The chambered nautilus is a fine piece, but it seems to under score the fact that Episcopal church has ceased to be Christian in any sense that term is generally understood. With its Greek revival façade, the nautilus would be appropriate if this were the temple of Poseidon. I think a bas-relief of Paul preaching at the Areopagus would have been more appropriate especially if the Cathedral is hoping to reach out to all people. Interesting to read the varied comments. It is thought provoking to be sure. I like the fish as a symbol of Christianity rather than the Roman form of execution; which, perhaps, in a convoluted way, gets us back to the nautilus. My preference, though, is the beauty of a sparse and simple Quaker meeting house. And think of the financial resources saved that could serve the people. Having expressed that, I have no doubt that God's work is going on at the Cathedral. In response to a couple of comments I agree Diocese of MA is geocentric; it's in the eastern and geographically smaller part of the Commonwealth. The way we express and identify ourselves affects our behavior so it does matter. Most of you are missing the point. The nautilus-shape represents the "golden ratio" that emerges from a Fibonacci sequence of numbers. Hence, it recalls the beautiful order inherent in the structure of the world--and thus an intensely spiritual object of contemplation. I love Dan's comment, which does in fact explain a truly transcendent (you should excuse the expression) and spiritual beauty. I would suggest, quite seriously, that a small plaque be affixed to the outer wall with Dan's text on it, for those who may not be familiar with Fibonacci or the golden ratio. Sometimes the proper explanation is a blessing! It's a little presumptuous to think that folks don't know about the golden ratio or the Fibonacci sequence. If someone paid attention in High School geometry they know about it. The simpler explanation is not that folks missed the point, but that they (and here I suppose I should simple speak for myself and say "I") simply don't find it convincing, or particularly weighty in forming an opinion. It's beautiful art--in my opinion, obviously others disagree--that doesn't look particularly Christian, and from my perspective the back lighting, at least in the pictures, makes it look tacky, when it might otherwise be OK, if not what I would've chosen. And of course, I recognize that it's not my cathedral, and others are free to do as they will. But I'm free to hear their reasons and still think "Faith, Love, and Crabs" when I see it lit up.